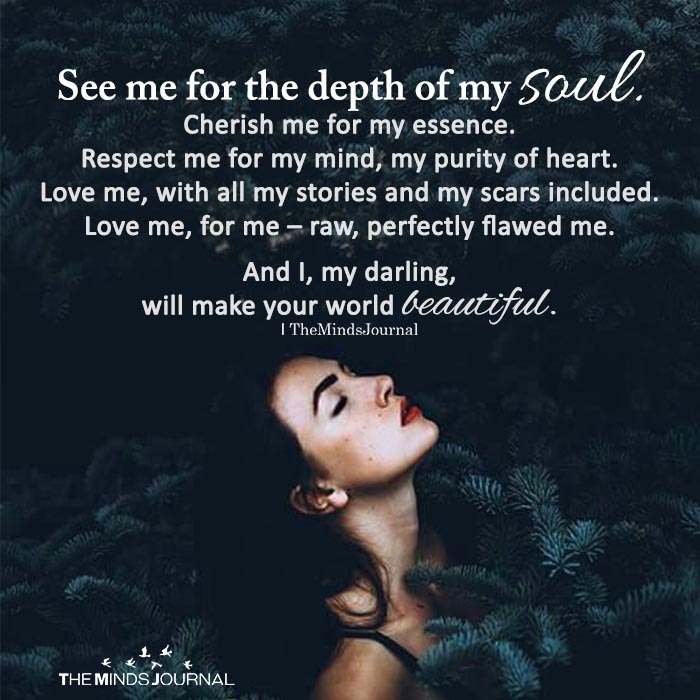 See me for the depth of my soul. Cherish me for my essence. Respect me for my mind, my purity of heart. Love me, with all my stories and my scars included. Love me, for me – raw, perfectly flawed me. And I, my darling, will make your world beautiful. That exactly I am doing on Saturday’s night with my newly introduce girl friend. But only for few hours.. from Sunday morning till next Saturday I don’t remember such …scars and stories etc etc.. Even though she is my darling… because she is she. If these many demands are placed before making someone’s life beautiful, that person would rather choose to remain ugly !